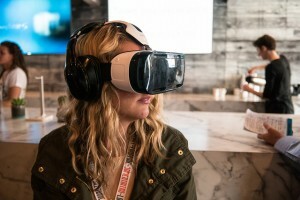 Virtual reality (VR) got a boost in attention over the last few weeks with high-profile announcements and campaigns at SXSW and the Game Developer Conference (disclosure: Samsung is a client I work on). Coming out of these conferences though, the question now becomes ‘so what’? You may remember agency strategists clambering on how Meerkat and Periscope apps were the ‘next big thing’ out of SXSW 2015, but are almost nowhere to be seen now. Looking at VR in a similar light, the product has some substantial barriers to mainstream acceptance; cost, ecosystem size, and usability. Getting to the ‘so what’? I feel we are still a few years and product iterations out till VR truly hits the mainstream. The question then becomes, what value are we then able to pull out of the ‘Year of VR’? Virtual reality as a concept is a means of escape and an immersive experience. Perhaps what marketers should take away from the conference is the idea of depth and experiences in what they are trying to promote instead. I don’t think VR technology is entirely out of the picture yet. For larger brands, there is still the availability of 360 videos that provide deeper visuals on a consumer’s mobile device. Otherwise, being better at telling a story about your brand, or about what your company does could be a great focus also. Not to sound jealous because I’ve only gone once…. but a fault of a conference such as SXSW is that those who come away from it try to grasp at what the next big trend in marketing/tech will be. In my honest opinion, changes are more likely to happen organically and over time (Ex: Snapchat as a viable platform) rather than overnight. I found SXSW to be more of a general learning experience where marketers can see more of the ecosystem around them, and be able to perfect on the basics. The need to jump onto another big trend is potentially dangerous, resulting in lost time and money for something that isn’t tested and perhaps not quite strong enough to be in the public eye. The steps I followed in this interaction were as follows: I liked a post from my newsfeed (in this case an article for Abercombie) and within a minute a ‘suggested search’ popped up in my search bar. This ended up leading me to explore more about the brand (below). Where a brand/product gets mentioned: In the example above I had engaged with GQ, a publication I enjoy from time to time. Making sure that brands are visible on publications that their consumers are on ensures a higher likelihood of a ‘suggested search ‘ to your own or further related content. When the user also clicks through to the search they will also have content they may enjoy on the subsequent search result. How consumers discuss a brand: Clicking through the search also means that mentions from a user’s friends along with other related mentions are displayed. A positive or negative statement may have an effect in swaying a person’s opinion one way or another. Managing issues and encouraging your fans to advocate and share positive experiences about your brand will be key in this regard. SEO/SEM ramifications? On top of ensuring that content is engaging (moving it higher up in search), optimizing branded content so that it appears in relevant conversations is also a consideration. 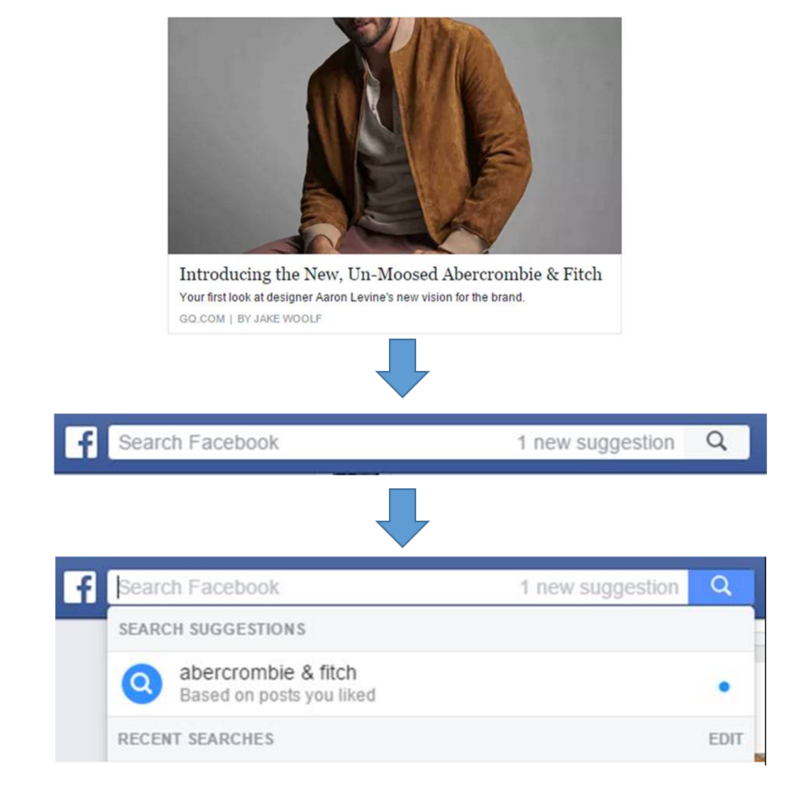 Facebook search isn’t as measurable as Google (yet…) but being mindful of where content appears outside of the fan page newsfeed is also important. 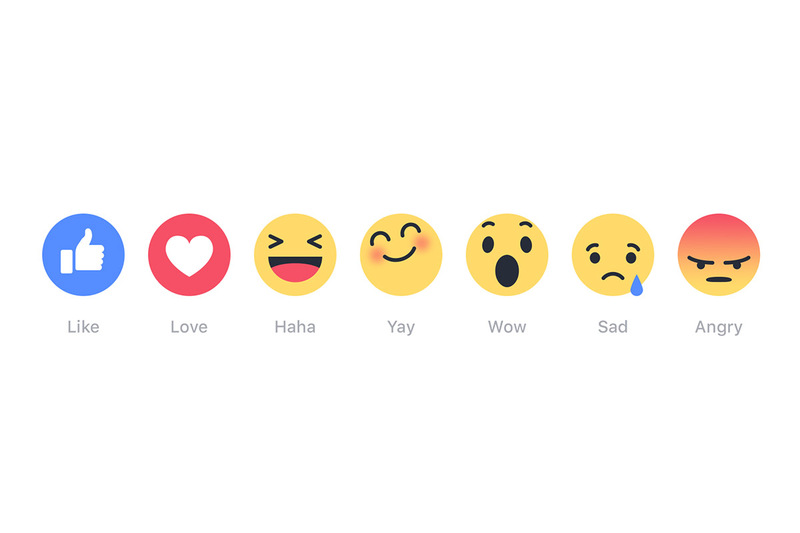 Yesterday we saw the addition of “angry”, “sad”, “wow”, “haha” and “love” join the familiar ‘like’ when it comes to user response to Facebook content. While previously content was measured by a single like or negative action (unsubscribe, report, unfollow) this new set of engagements brings a new layer of complexity to the simple Facebook post. What Facebook has yet to describe is the effect that each new reaction has when it comes to ranking content. Will content receiving more “Loves” get higher newsfeed priority over content that receive just “Haha” or “Like”? What does getting an “angry” mean? With a previous focus on getting single engagements, whether its more video views, comments etc., adding 5 new reactions could throw content strategy for a loop. A brand with a focus on humor related content could instead now rank posts by how many “Haha”s it gets. Another thing to consider is when would “angry” and “sad” reactions come into play. Are there particular moments when a brand wants to generate particularly strong emotions? Measurement structures will also be affected by the introduction of these new engagements. By having the ability to chose the ‘angry’ engagement, measuring by total engagements doesn’t necessarily prove if a post is more or less successful anymore. Already a ‘Love’ may have more value than a simple like, and a post made to engage fans with ‘Haha’s could be deemed a failure if instead it received ‘Angry’ and ‘Sad’. 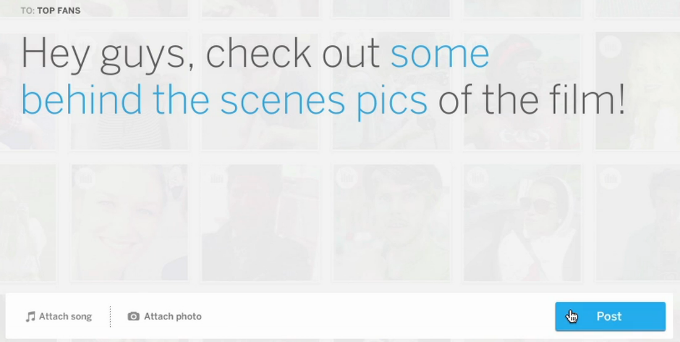 We still need to see the full impact of how the new ‘reactions’ feature alters content flows. An observation I’m already seeing is that a as a single click option (versus a hover and select) general ‘like’ engagements are still the most dominate engagement. After a week or so (once initial excitement has died down) there should be enough data to evaluate the impact and see what (if any) changes to tactics and overall strategies need to be done. So its been a while again, but push comes to shove and I’m determined to get back on to making a return to this blog. I’m on a bit of a skills development fix at the moment and decided here would be a great spot to report back on what I’ve been doing and to create some documentation on the key learnings. I recently went through a beginners course on SQL through Code Academy (link to the course here) which I found really interesting and potentially useful for future endeavors. What is SQL? Known as a ‘Standard Query Language’ its a method of organizing and summarizing data. My general thinking when it comes to this is that taking a structured dataset it allows the user to summarize and manipulate the data. In the case of multiple datasets, it connects them through a common tie so the user can get a better understanding of how they interact. Why is it potentially useful? I’ve experienced SQL in the context of a data tool where the language organizes raw data in such a way that its a readable output for the end-user. When thinking about it in terms of even a basic excel spreadsheet, the language allows for the data to be summarized and reformatted saving the user from having to do a lot of manual work. ; is used as an ‘End statement’ and is placed at the end of a command. It tells the system to move to the next query statement. There are three basic functions of the SQL language: To BUILD, ANALYZE or JOIN data tables. CREATE TABLE: is a command telling the system to build a new data table. table_name(***): labels a table for use in queries and joining with other tables. INSERT INTO: is a formatting command used for define the set columns. Following this, column titles can be added ex: (id, name, age). ALTER TABLE: Where as UPDATE alters an entry, ALTER TABLE allows the user to change or add data columns. DELETE FROM: Deletes rows from a table. SELECT *FROM ‘table name': displays all data from the labeled table the SQL interface. The * is used to notate ‘select the whole table’. Other commands such as ‘SELECT DISTINCT’ can be used to summarize a table further based on a column or row entry. BETWEEN: Is a filter option for the use of numerical data. ORDER BY: organizes a data set. A related command DESC/ASC(aka: Descending/Ascending) can be used to organize numbers by a set parameter. LIMIT: Sets maximum number of rows pulled from a dataset. GROUP BY: organizes data by a specific column entry (example: type of apple). SUM: Counts up the numerical data of a particular column in a table ( Ex: How many impressions in total). MAX(): finds the largest value of a criteria. MIN(): finds the smallest value of a criteria. AVG(): finds the average of a criteria. ROUND(): rounds decimal numbers to a specific integer. ON: states the parameter of the join. Inner Join: joins entries when a join criteria is met. Left Join: Combines two tables together side by side and provides a NULL value when the join parameters are not met. AS: When joining a table this allows columns of the joined table to be renamed without affecting the original unjoined tables. Truthfully I need to sit down and give this a full read (perhaps a blog post is in order…) but the data set analysed on this one is massive! An analysis of 700MM words from 75,000 social media users is probably one of the largest studies of online text out there. What was done on here is pretty awesome as well. Looking at demographic and personality influences , the study takes a look at what common trends occur within these different subgroups . I figure I would group these together. First there is this a research paper from JWT on The State of Men which is a quant/qual analysis of the state of Western Men ( the sample is 500 American and 500 British guys) and shared knowledge from a select group of international experts. A great follow up to the above article is Ad Week’s “The Millennial Male is Not Who You Think He Is“. I think first it’s a great analysis of the not so rosy picture of the millennial guy, but it also highlights the importance of working off of actual research vs. personal perception in regards to audience insights and planning. So this was done in a bit of an ad hoc manner but here are the articles that were top of mind for me over the past while. As I mentioned earlier this is a project that I’d like to keep going on a monthly basis. I’ll likely release the next wave in mid November. If you want to join in on this, feel free to share your own top reads for the past while in the comments below. Measuring how many people actually still care: Something that is still a focus in regards to Facebook fan pages is of course the fan base . While fans don’t really have the option of doing this any more, a fan could previously be a fan but opt out of all of the page’s posts. Having an understanding of how many people are sticking around vs. just displaying a firms logo on their Like list would be a nice little addition and perhaps avoid inflated expectations. Who are my new fans/Who are the ones that are leaving? : Sticking with the idea of fan counts, it would be great to have an approximation of what kind of demographic a type of content brings in in but also pushes away. Perhaps you’re running a campaign that you thought was completely geared towards men 18-24 years old, but it turns out to be that you were off the mark and you’re attracting a completely different audience and sending your target the other way. 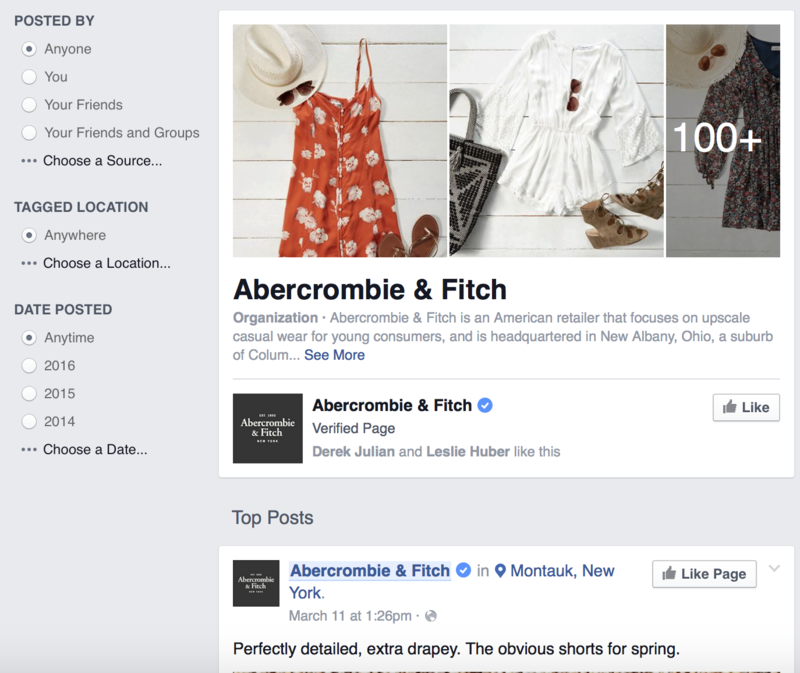 Getting an understanding of who is liking and disliking a page will allow marketers to better test and plan their campaigns instead of simply just pointing towards their fan count and saying ” Look! Our engagement numbers/fans are up!”. Quantitative Analysis Tools: Truthfully, having to read through posts for a month and trying to create an actionable insight is pretty painful. Facebook’s interface for exploring comments makes it very difficult to be able to express the consumer voice on the page. 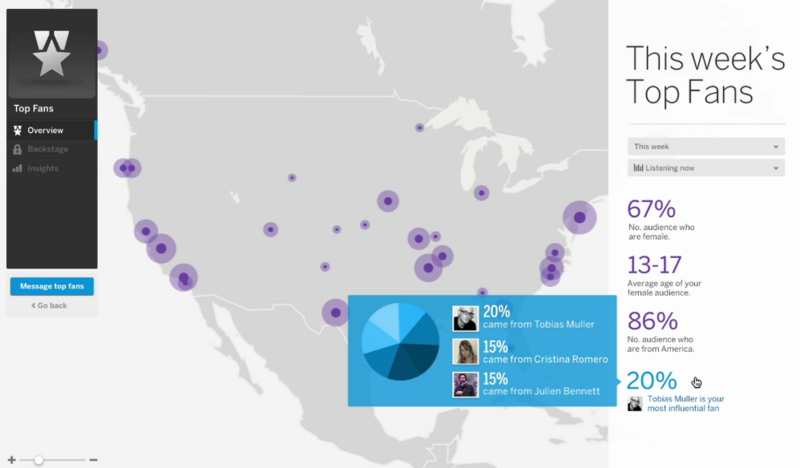 There are a few social listening firms that do qualitative visualizations really well. Facebook should really tap into this type of technology so that Marketers can understand the voices of their customers vs. getting just a sample approximation. Longitudinal post engagement analysis: For those who have been in social long enough, you may remember that Facebook delivered two types of engagement reporting. In what I’ll call Facebook insights v.1 you can get a pull of total Likes, Comments and Shares from all content created since the page was started over a certain time period. For Facebook Insights v.2 (current) now you only see what engagement content posted during your chosen reporting period has received. I think it would be great to be able to see a v.3 where you can understand the level of engagement a post receives over a period of time . What I mean by this is perhaps content was really relevant to an audience and users continued to comment on a post for an extended period of time. On the other hand maybe a post was only sort of interesting and received a spike of interest in the first day or two and then really tapered off to nearly zero. Having just an aggregate number doesn’t really tell me how my fans engaged with content and what sort of impact this content had on the community at large. Additionally in terms of an overall content strategy it lets you understand if you’re making effective use of all of your content assets at hand. BONUS Benefit! Outside of measurement something like this would also be a great tool for community managers as it allows them to see where potential issues or opportunities to engage are happening at any one time. With the right technology in place I strongly believe that all of these potential features (and more!) fall within the realm of possibility. Facebook gathers a lot of user data and while it is important for privacy reasons to keep a tight control on it, freeing up some of the larger aggregate data would allow marketers to better target and manage their page rather than see their fans come and go based on their perceived benefit from the page. Is there anything that you would add to improve Facebook insights? Or is it a matter of there is some data on the platform already that is completely irrelevant? Feel free to share your thoughts in the comments below! Lately a topic that’s been on my mind is the idea of network efficiency. This considers how a topic can hit a group of networked individuals so that it effectively gets spread throughout its network. To think about this topic another way, how many people did the Harlem Shake need to hit for it to go ‘viral’ instead of just falling into obscurity like many other videos. Could a small subset of people effectively have enough reach and traction to reach a few hundred thousand others? I could go into a bit more depth with this topic but I want to keep this post pretty short. 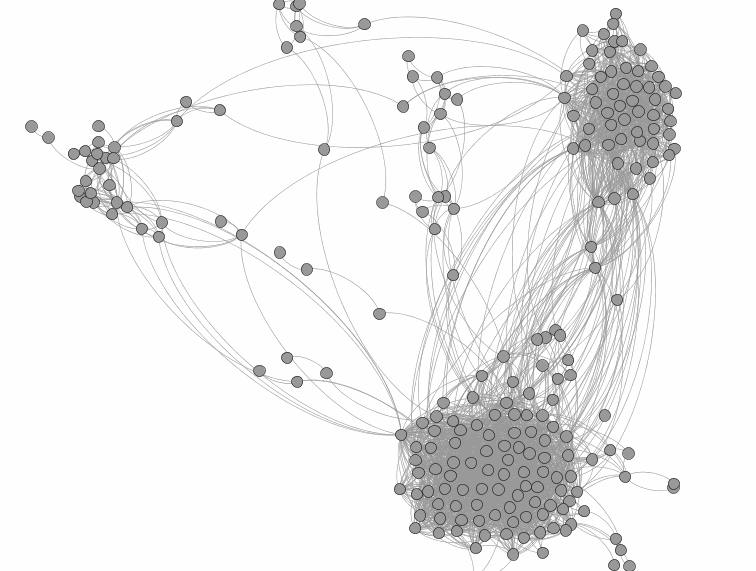 At the end of the day, the idea of nodes and edges in a social or interpersonal network sense can be related back to how quickly and effectively a message is spread. Imagine if we could know which people in a network are needed to best get a message across. Instead of spraying a group with your message you could get it to the right people and have it evenly distributed throughout.Knowing what efforts are needed to make your content reach your target group rather than become some little known code on the web can ensure increased success and better use of resources. After being without my family in Toronto and now Montreal I’ve learned that that there are certain places and activities that make living somewhere more comfortable. I’ve now been 8 months in Montreal and having a week off has made me realize that there are certain things that make me more comfortable living out here. Recently my biggest discovery is that knowing the location of a good book store is important to me. Back in Toronto it was Swipe Books and now here in Montreal its Drawn & Quarterly. Having good quality books available to big creature comfort to me…. yup I’m a nerd. There are other things that give me comfort. Whenever I’ve needed to think I find myself going to the Vieux Port/ Old Montreal to check out the old cobbled streets or have a view of the St. Lawrence seaway. I also have two bakeries that I tend to frequent and a Thai fast food place I go to when I don’t feel like cooking. In terms of person to person contact I’ve also discovered the Montreal New In Town Meetup where I can go and grab beers with people who are in a similar spot to where I am. Rather than just living in a place, I think connectedness is important and that’s where knowing things are comes into play. We aren’t just people who go from home to work and then home again. Having a feeling of familiarity and comfort in your surroundings helps with your state of mind. What is important (for me at least) to do when you live in a new place? Explore your neighbourhood. Knowing what is around in your immediate vicinity makes you feel more comfortable and as a side benefit can give you places to check out later for activities. Find places relevant to your interests. Not having access to activities that you previously had can be a bit of a downer. Find a comfy coffee shop or seek out a place that provides access to the activities/classes that you’ve enjoyed. This provides you with a feeling of continuity. Find a group of like minded people. Going to a place alone can be tough. Having a group of people that you can talk to and share experiences with makes things a bit easier and can relieve feelings of frustration and isolation. So while I’ve been unpacked for a few months in Montreal I’m still sort of still settling in and understanding my surroundings. In another 8 months I’ll have to see where things go! If something is new, more technologically advanced or simply has more moving parts we tend to generally think that something is better. Simple means that someone hasn’t been thinking about something hard enough about making it better right? Well I’ve learned in at least the case of shaving that this isn’t necessarily true. First thing out of the way, I am one hairy dude and my hair tends to sprout up like weeds. If you were to do a poll of men to ask how often they shave I’m sure you’ll generally hear that they shave every two to three days. Well for me it’s almost every day with the exception of weekends and holidays where I tend to give my face a rest and just generally look like a hobo otherwise. The downside I used to experience with growing in a thick mane is that multi blade razors would clog up and become ineffective. Of course this then means that you’re constantly replenishing your razor supply. This changed about a year and a half ago when a fellow co-worker of mine suggested I try out shaving with a safety razor (not so much like safety scissors) of which afterwards I was hooked! After getting the metal handle ( a Merkur razor) and a 20 pack of blades I was set. It was a bit of a bigger upfront cost ( about $60) but it felt really good having the metal handle in hand when I shaved. Outside of this my experience was generally the same as usual. I would wet my face, plaster on some shave gel or foam and then begin gliding the handle across my face. In general, a clean blade netted me a really smooth experience. It feels like having the single blade results in a more accurate shave with less need to return to the same spot. With my face unfortunately nicks and cuts still occur but they’ve been less painful and much less unsightly which is a plus. All in all its an enjoyable experience. Learning recently that a buddy of mine straight blade shaves as well has gotten my thinking of exploring my other options in shaving. Recently I’ve picked up a shave brush and soap package and have been experiencing a different way in how my face gets prepped and lathered up. Something about getting myself an antique razor handle also draws me in. Seeing the old pop open razors has a bit of an allure for some reason. For something that men do fairly often in life, shaving is something that has become very casual and routine. What was once a social experience of going to the barber and getting a hot shave, has now become more of a commodity. For myself, noticing the small community of those who invest more into their regular shave I’ve started noting new products and to potentially add to make my daily morning routine even better.Getting the parts I need may not be as easy as going around to the corner store but I’d consider that another part of the overall experience. A brief preview of the newest iteration of Myspace went up up with a bit of fan fare this week but perhaps not a lot of sustained interest. The upcoming re-launch of the site was announced with a completely new interface and what seems to be a massive amount of music options. What I was sort of surprised about was how little people seemed to pay attention to the corporate social engagement portion of the site which is an aspect that this site could potentially have all other sites beaten in. Displayed in a brief preview video were two aspects of what look to be actions from fan pages (in this case Justin Timberlake’s) that caused a few neurons to spark when I spotted them. The first was a fan source map showing not only where fans were located but attributed a fan joining your page to another fan. This is huge in the sense that you can understand how your community forms and who are essentially the taste makers or ‘influencers’ in your community. By doing some digging you can understand how a fan is sending their friends your way and what makes them trustworthy in that others will follow his lead and join the page. In general by having this information you are understanding why people are joining your page and as a result can deliver better value to these fans. What also caught my interest in this video was the option for the page owner to be able to reach out to “top fans’. Considering what was discussed earlier and using the idea of influencer marketing this could allow organizations to better spread the word not only online but offline. So for an example say a new product is launching. With the option of contacting your ‘top fans’ you can share this information allowing them to spread the word within their social spheres. Not only are you rewarding your top supporters by giving them exclusive information but you now have a trusted source who will be likely to pass on this information with others. You’re not spending thousands on an ad spend to get the word out, instead you have someone embedded within the community you want to target that will happily spread the word. Are Facebook and Twitter Falling Behind? Based off of this video my opinion is that Myspace has taken a direction that understands communications and social better than its competitors. What I mean in this is that Myspace has taken a direction that focuses on the actions of individual users and their contribution to building communities and spreading messages vs. Facebook/Twitter that have gotten too focused on pushing messaging out to as many eyeballs as possible. On one side there is focus on who your messaging is getting out to and on the other a largely pay and spray approach is being taken. © 2019. KevRichard. Powered by WordPress. Theme design by WPShoppe.